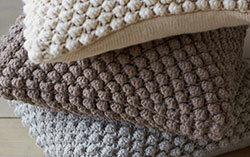 What is Climate Beneficial Wool? A carbon footprint is measured by the amount of CO2 (a greenhouse gas) emitted directly or indirectly from a person, farm, or business. 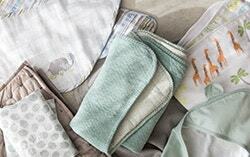 At Coyuchi we believe in finding creative ways to reduce this number -- from hanging our laundry instead of using a dryer, to transitioning our plastic packaging to organic reusable bags. We believe that companies should be responsible for thoughtfully considering how their business impacts our fragile planet. That is why we are excited to announce that we have upgraded our already American-crafted Wool Mattress Topper, Dryer Balls and Wool Duvet Insert to now be filled with wool that is carbon-neutral, pastured only 60 miles away from our offices, in partnership with Fibershed. Farms are the world's second-largest emitter of global emissions, with the first being the transportation industry (planes, trains, and automobiles). From poorly managed non-organic soil to the rampant use of petroleum-based fertilizer, our modern-day conventional farm practices harm our planet. The practice of Carbon Farming means that the land draws just as much (or more) CO2 into the soil as it emits into our ozone layer (which contributes to climate change). Our Wool farmers, Jensen Ranch and Stemple Creek Ranch, have begun to administer Carbon Farming on 1,580 acres of land and have 3,530 total acres planned to receive carbon farming practices in the future. Their practices are offsetting the emissions of 100 passenger vehicle cars every year. With continued support from Coyuchi, and others in the design community, these ranches will continue to have the opportunity to enhance the health of our planet. 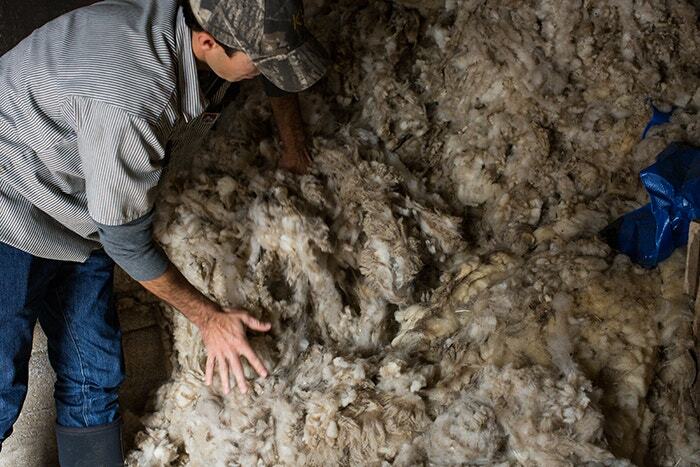 Learn more about one of our wool farmers, Jim Jensen. 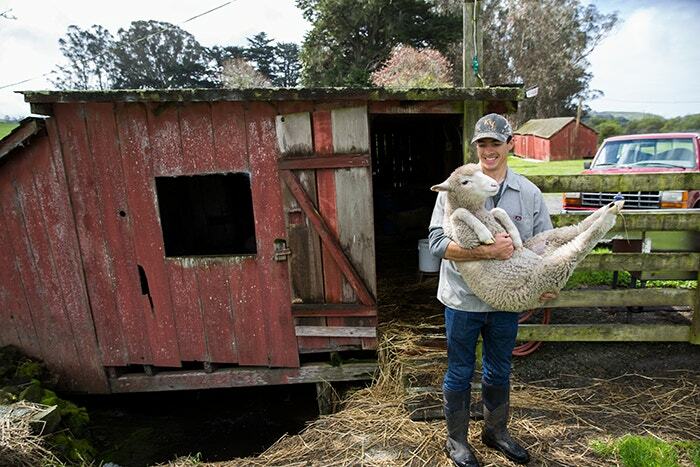 Jim is a sixth-generation farmer at Jensen Ranch in Tomales Bay, CA and has been an inspiration to designers, farmers, and environmentalist alike. 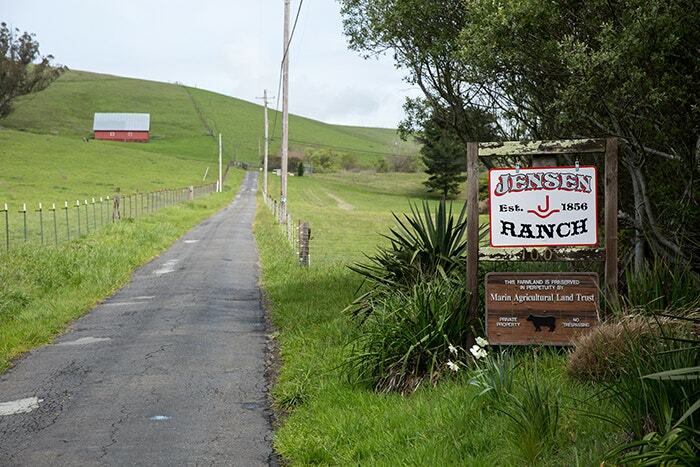 Tell us about the Jensen Ranch! How big is it? How many animals do you have? 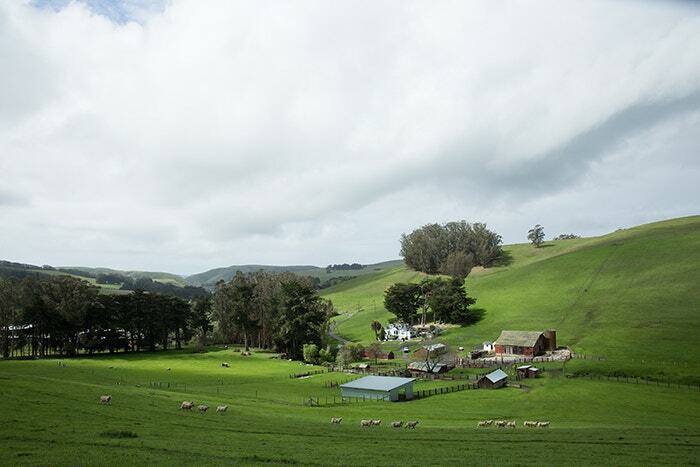 The Irvin and Jensen families have been ranching or farming in Tomales since 1856 when Joseph Irvin emigrated from Belfast Ireland and ended up laying claim to the 240-acre home ranch we still operate on today. In those days and simpler times of subsistence farming, pioneers who stayed on a piece of land for five years owned it. We still use water from the hand-dug springs they established and some of the same barns and fences are still standing. Over the course of 6 generations, the land has transitioned from potato farming to a small dairy with pigs, to a sheep and cattle ranch. When was Jensen Ranch founded and by whom? What generation rancher are you? I am the sixth generation of the family living and working on the ranch from my father’s relatives. My mother’s family has also been involved in agriculture in the community since the early 1900’s. My wife and I are expecting the seventh generation in March of 2018. We are very grateful and honored to continue our family’s legacy of ranching in the area. How does history and family tradition play a role in the way you run the farm? Experience is a very important component of any agricultural operation. In ranching, you are gambling every year and betting on Mother Nature. While the economics are difficult to stomach some years, it is taking pride in producing a quality product and working with the land that makes up for the challenges of increased production costs, taxes, and extremely high land values. What are the biggest changes you have made since inheriting the farm? I think the changes have been small and by no means have we inherited the farm or “ranch” as it is typically known as. It is a family operation. I think one of the biggest lessons we have acknowledged is that you do not inherit the land; you borrow it from the next generation. I am not the first to come up with this but if we managed land with this in mind rather than the “appraised value” of land, the world would be a different place. I have taken small steps to reduce expenses and manage our livestock more efficiently: culling animals that are not fit for production in our low input model and matching stocking rate with the carrying capacity. Water was a limiting factor throughout the land where we operate so large efforts to distribute water using new technologies with a solar pump has been a priority. This has improved where the livestock distributes their nutrients/manure, reduced trailing, and increased our ability to rotationally graze. 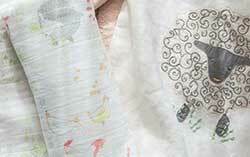 How did you get involved with Fibershed? 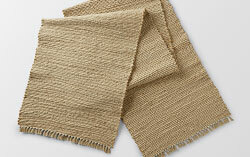 I was very interested in Fibershed’s initial feasibility study of a California wool mill. I could not imagine that our wool was worth almost nothing based on the fact that it had to be transported so far for processing that any profit would be lost in transportation while burning more fossil fuels. 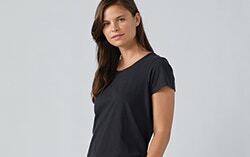 The local food movement has had success here in the Bay Area and I am optimistic that clothing and textiles can follow suit. Fibershed was thinking beyond just the chains of production and looking at regenerative land management to close the loop. Almost a model of payment for ecosystem services – the Climate Beneficial wool cycle. They are passionate about connecting the dots from the farmer to the consumer. We all depend on the land. Can you tell us what carbon farming means? There are whole books written on this topic, but in short, it's applying all means to increase soil carbon/soil organic matter, above and below ground (roots and shoots), while reducing your carbon footprint. Lowering inputs (feed and fuel) while improving soil productivity and attempting to add more perennial species. Maximizing photosynthesis with the available soil and water resources. Increasing soil water holding capacity and restoring riparian corridors. It is very similar to the standard Conservation Planning process (USDA, Natural Resources Conservation Service) with a focus on practices that capture or increase carbon sequestration. What was the lightbulb moment that made you develop the carbon farm plan for Jensen Ranch? The plan is a work in progress, we still have a ways to go as it is a working document that will require adaptive management but we have a great start. My wife Brittany and I both work for organizations helping farmers and ranchers with conservation practices and cost-share funding opportunities that help to protect soil and water quality and fish and wildlife habitat for all. With my family ranching heritage, it is the natural fit to transition into focusing on how we can take small steps to make our land better for the next generation. I see windbreaks and pasture plantings that my ancestors planted 100 years ago and we are still relying on those. It is our turn to lead by example and if a consumer can see value in that, and is willing to pay a little more, it is worthwhile for the farmer to protect and enhance the landscape in the public’s interest. Why should we purchase from farms following this practice? Food is medicine. Our food system has been broken to mass produce cheap, low quality food. In an effort to feed the world, we lost track of the cost of our natural resources. By supporting small local farms and farmers, you are allowing a higher percentage of those dollars to go back into the land, and removing levels of intermediaries taking profits from the farmer. A farm, ranch, or dairy with a Carbon Farm Plan is taking strides to increase soil carbon, water quality, and clean air for all. What can consumers do to demand that more farms convert to a carbon farming plan? 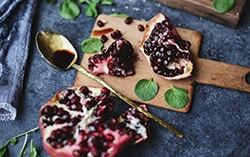 Support local and regional food systems; understand where your food/clothing comes from and how it was grown/processed. Also, support your local Resource Conservation District (RCD). These state and county organizations are little “Hidden gems” in most counties throughout the US. Created after the dust bowl, they assist in administering grants and other funding programs to improve agricultural and forestry practices. Consumers in the U.S. go home with more money in their pocket than any other country in the world after they have purchased their food. If you care about the land that sustains all living things, you will make different decisions as a consumer. We are very fortunate in the bay area to have access to high-quality local food and “niche” markets who value sustainability and “regenerative” land management. What is the Marin Agricultural Land Trust (MALT) and what is your role there? Its’ a long story, but in a nutshell, ranchers and environmentalists came together in 1980 in an effort to protect the agricultural heritage and landscape from development. Rising land values make family succession difficult and running a farm, ranch, or dairy is not an easy occupation for the wage. Conservation easements help families navigate this hurdle and continue to work with each operation on land stewardship. 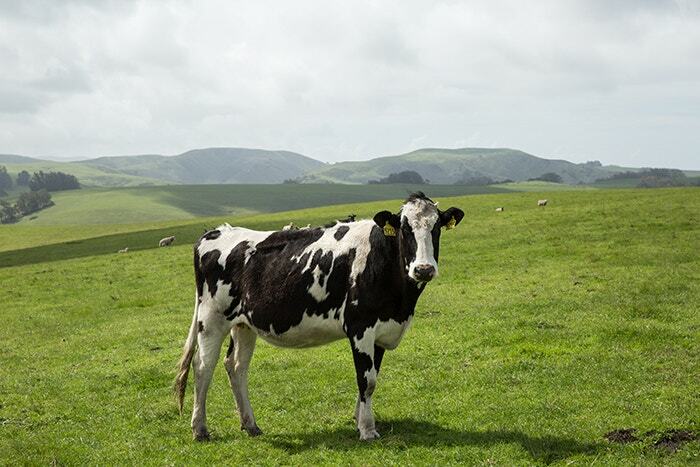 As a Stewardship Project Manager, I work with over 80 ranches in West Marin to monitor their specific conservation easements and provide assistance through a Stewardship Assistance Program for private landowners working on practices to improve soil and water quality. 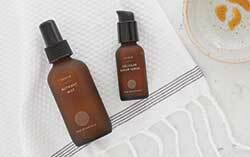 Essentially promoting more carbon beneficial practices. How does MALT affect the environment and Northern California? Across America, 40 acres of farmland are lost every hour. Just think about that, we are not just loosing farmland, we are losing all of the biodiversity that comes with and relies upon it. MALT is not saving the environment or northern California but rather promoting more sustainable practices and looking ahead to create more resilient family farms and Ag operations while protecting that land from further urban sprawl and development. The landowners are the real stewards that can have an impact; MALT offers guidance in many different capacities to our landowners. What is the MALT 2018 goal? MALT's mission is to permanently protect Marin's agricultural land for agricultural use. MALT's vision for Marin County is a thriving agricultural community in a healthy and diverse natural environment. How does Tomales, CA inspire + influence your decisions? The land is everything to me, and Tomales is home. It’s where my roots are, and I am putting down more. I grew up running around on the ranch helping out and getting dirty. Hunting and fishing taught me that, if you respect and take care of the land, it will provide for you. The same goes with farming and ranching, the annual cycle with the sheep of lambing and raising a quality product in sync with Mother Nature that you are proud of is extremely satisfying. I went away to Cal Poly and studied Natural Resources, Forestry, and Range Management. I realized how fortunate and lucky I was to grow up in Tomales, a community with no stoplights, no big box stores, little to no crime, and a strong sense of community. The place has not changed much over the last 150 years, besides the real estate values. And development is basically stopped on all sides thanks in-part to conservation easements. Yesterday in Tomales, I watched a neighboring family pick up all the litter and trash all along the public road that tourists leave, or blows out of their vehicles on their way to the beach. That is the kind of place and morals I want to instill in my children. Community pride, think globally - act locally. The same way I was raised. What has been the hardest part about running the farm? Prioritizing Time Management, I could spend all day on chores at the ranch, there is an endless amount of work on a farm, but to stay profitable you have to prioritize actions that will improve the lands productivity or livestock health and welfare. In addition, you have to take a vacation once in a while and focus on planning from a business perspective or you will exhaust yourself with all the tasks at hand. I could spend all day cleaning up the trees that blew over in the last storm or the fence my grandfather built that could use an upgrade but with very slim profit margins, there is little time or funding left for these never-ending chores. What has been one of your most rewarding experiences on the farm? Earning a decent price for our product last year was very rewarding. Only about 1 in every three years does a farm really make a profit. Many years require big expenses, drought sets in, or the market drops and you have a perishable product. What do people get wrong about ranchers? “People” is rather vague, but I think a “rancher” is often thought of as an occupation from a previous generation, with little to no education. Ranchers are extremely smart and really live an incredibly rewarding lifestyle. They work with their hands out on the land, not in a cubicle. They make their own schedule, even if it means working in a blinding rainstorm to try to save a lamb. There is a movement of new framers and ranchers coming back to the land. There are highly educated folks working from the ground up. Consumers are more educated and ranchers now often operate in between freeways and in parks to benefit the landscape. People are waking up to where their food comes from and how it was raised. The rancher plays a vital part in managing the clean water and air we all rely upon. Know your farmer, know your food, and know your Fibershed!